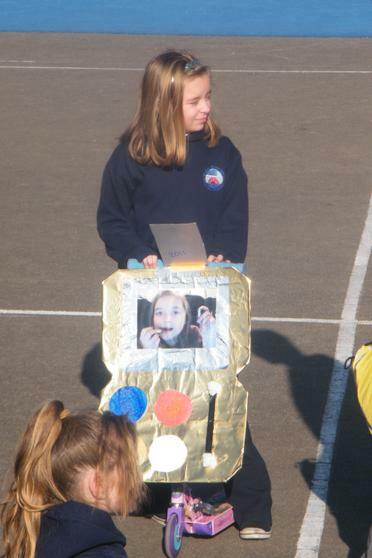 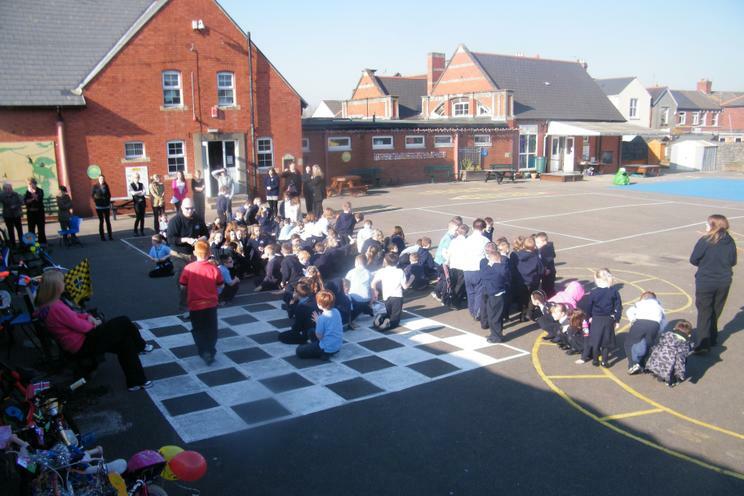 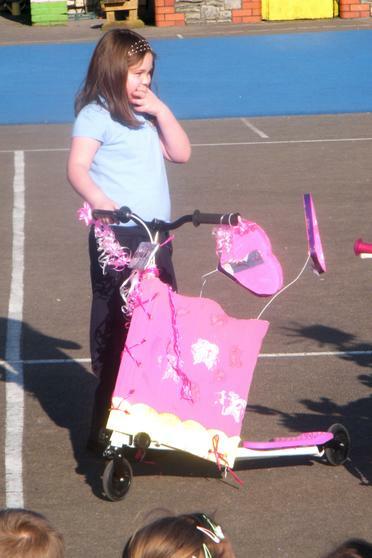 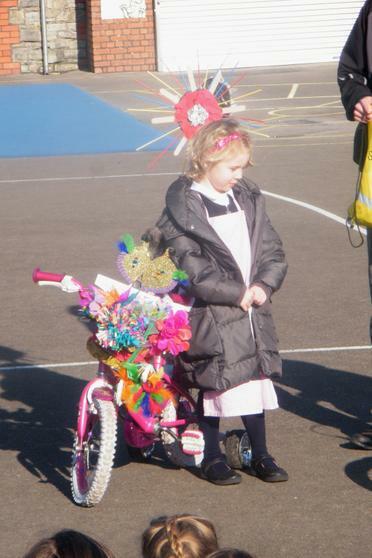 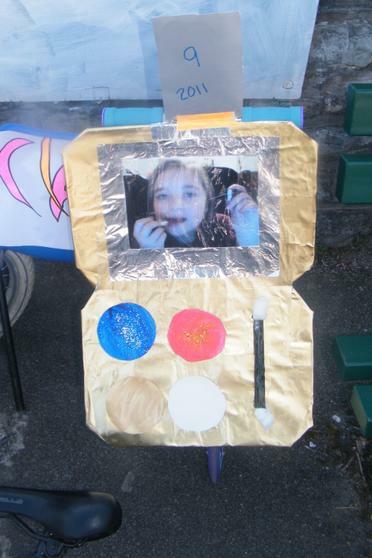 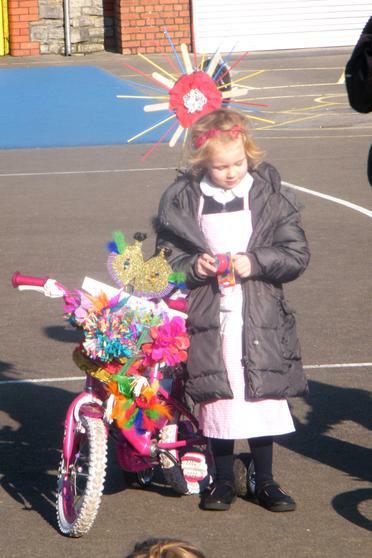 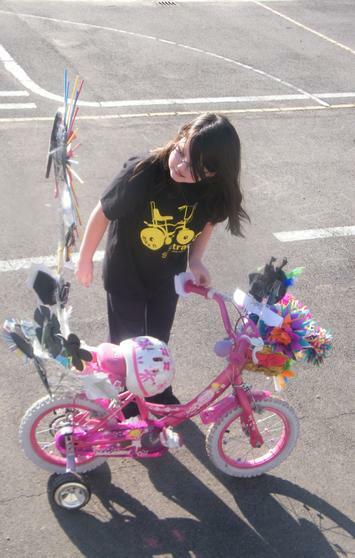 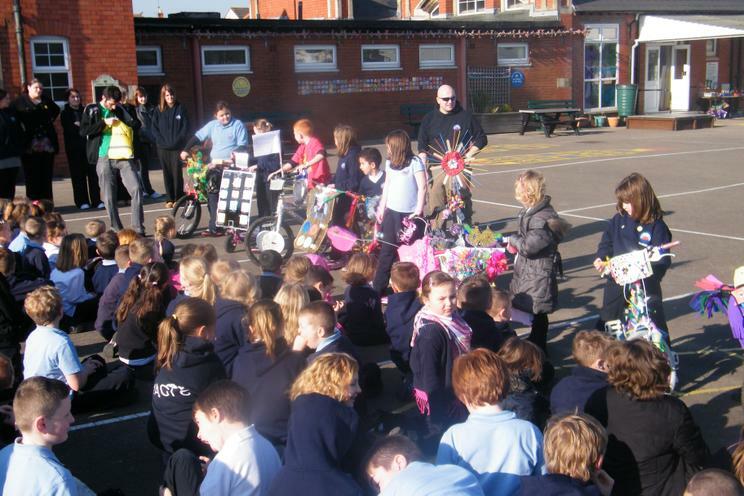 We were thrilled at the numbers of pupils who took part and the overall quality of the designs. 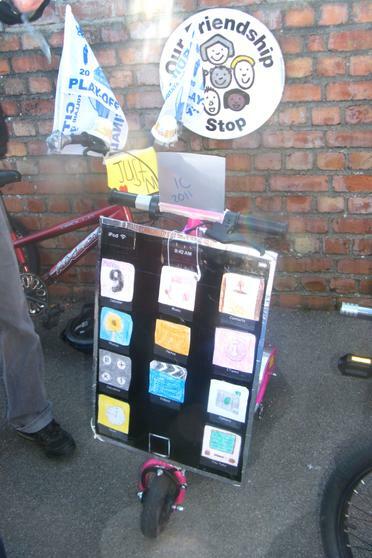 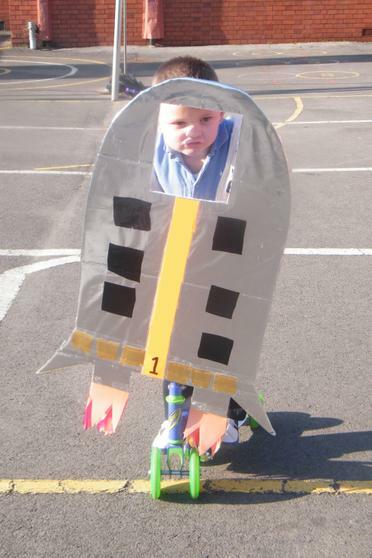 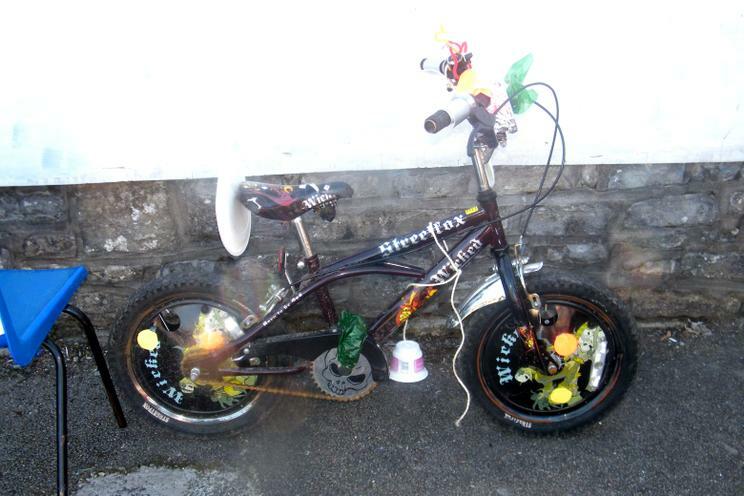 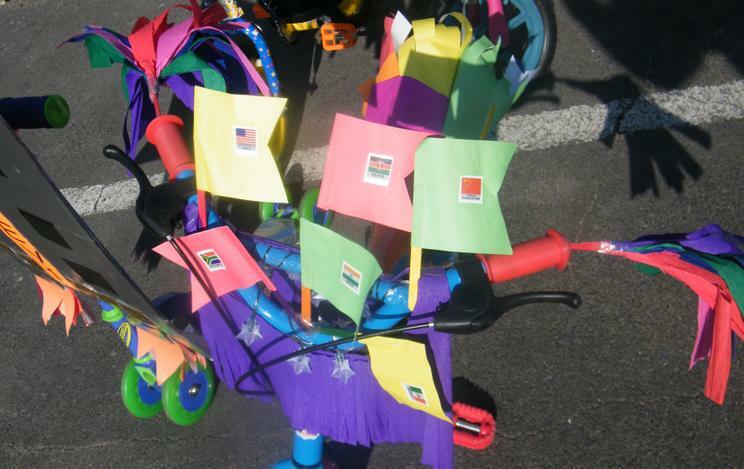 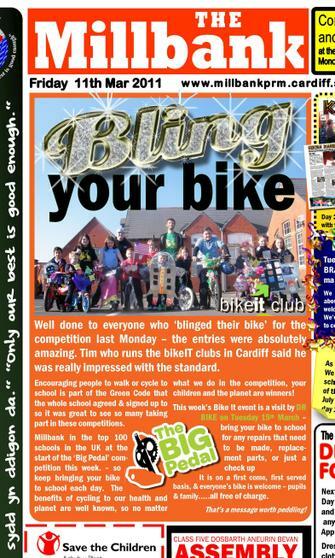 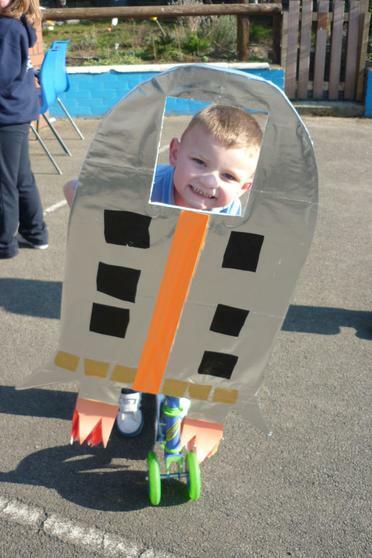 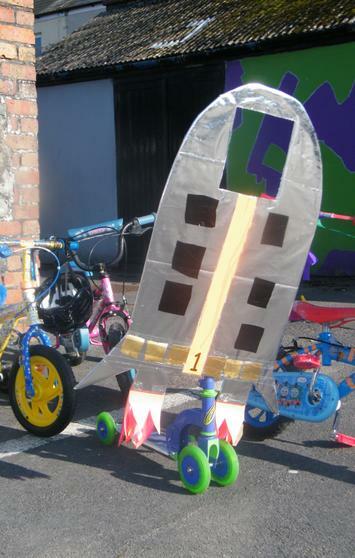 From ipads to space rockets, Tim who runs the bikeIT clubs in Cardiff said he was really impressed with the standard. 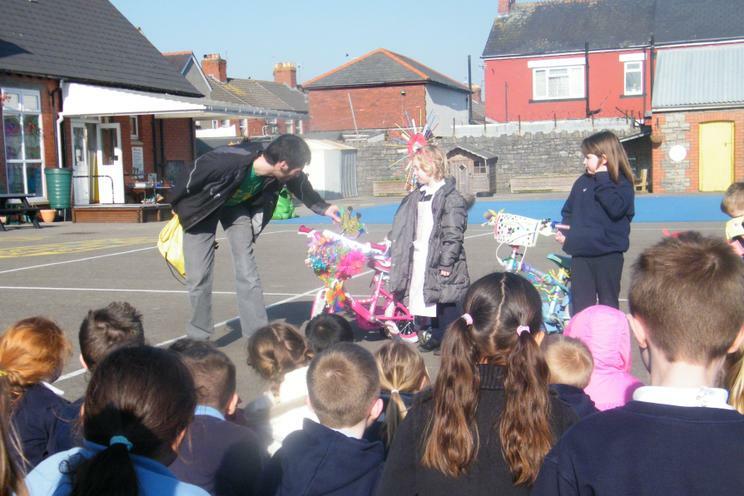 In the 'Spring 2011 Cardiff BikeIt update' it was described as "the event of the term." 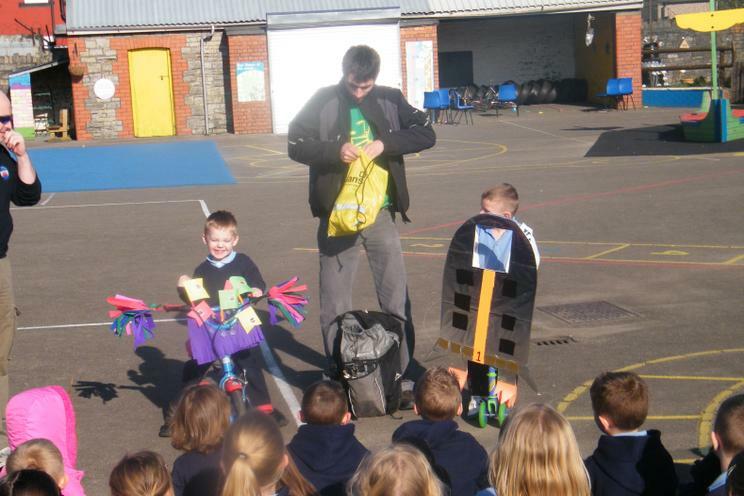 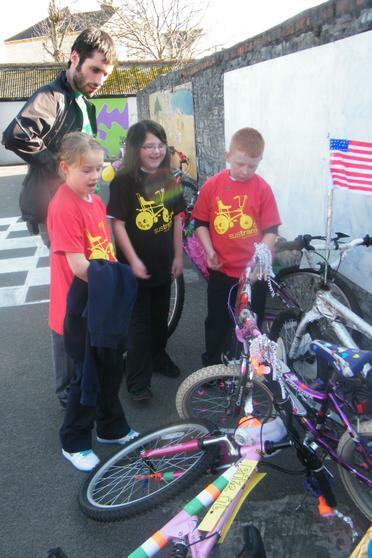 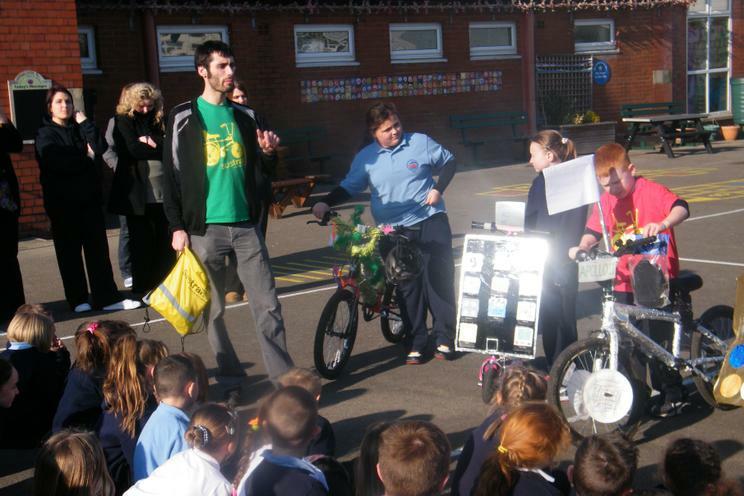 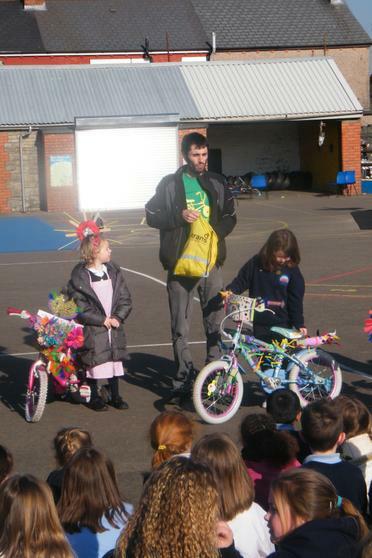 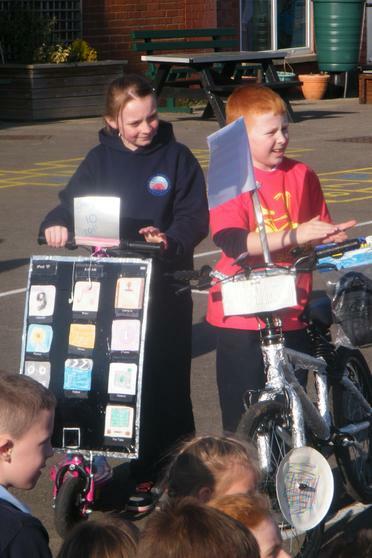 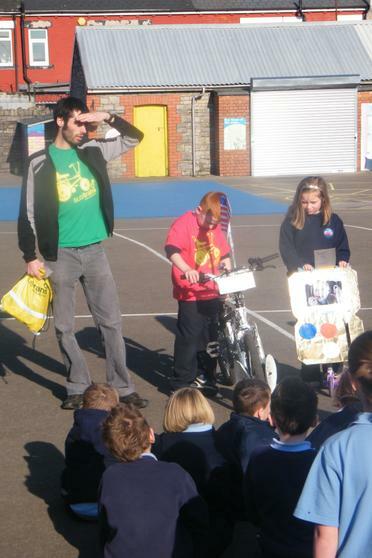 The members of the BikeIt club helped Tim in the very difficult job of judging the winners of the different age groups. 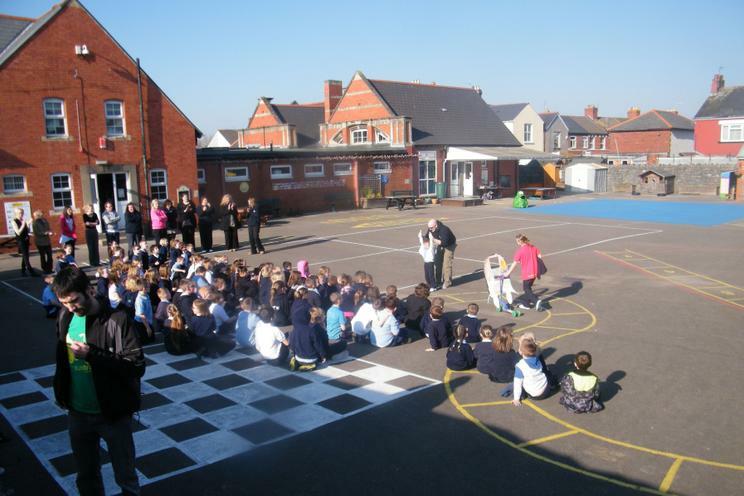 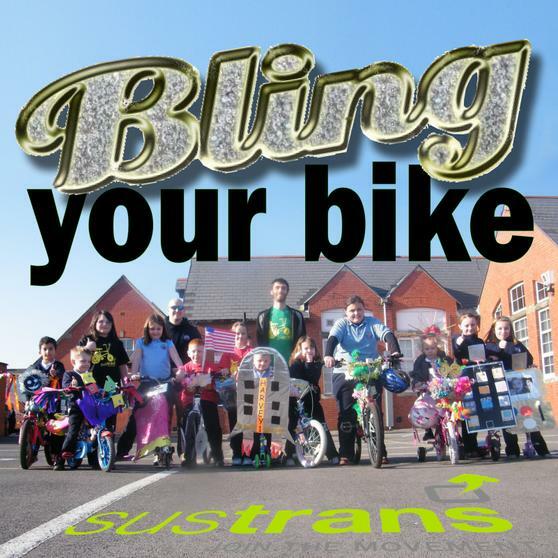 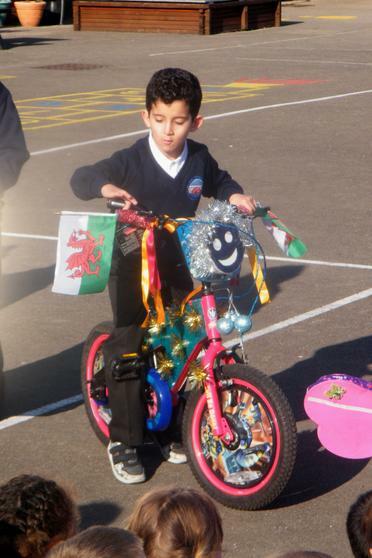 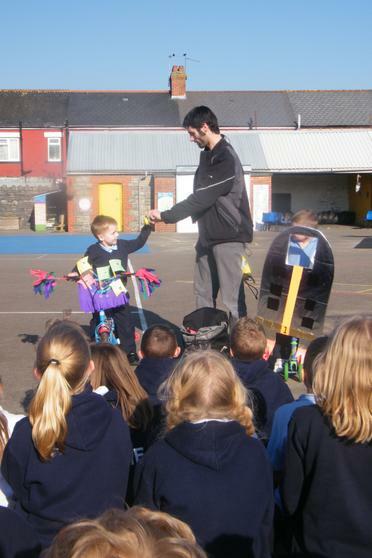 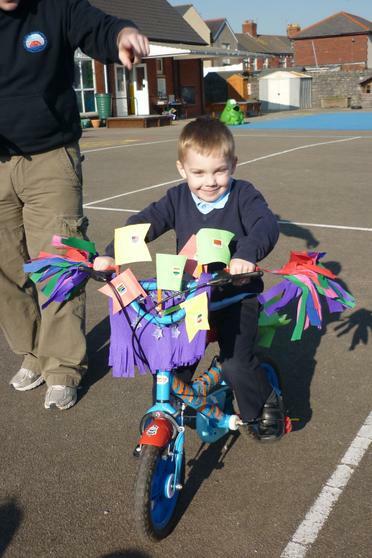 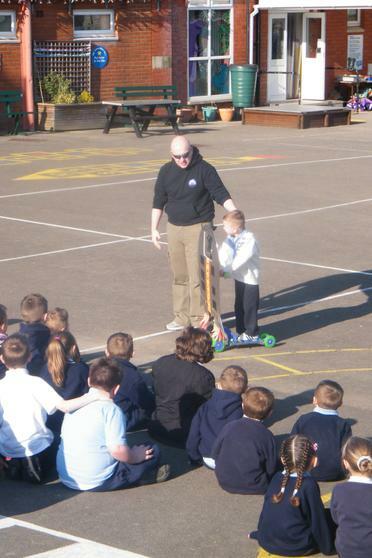 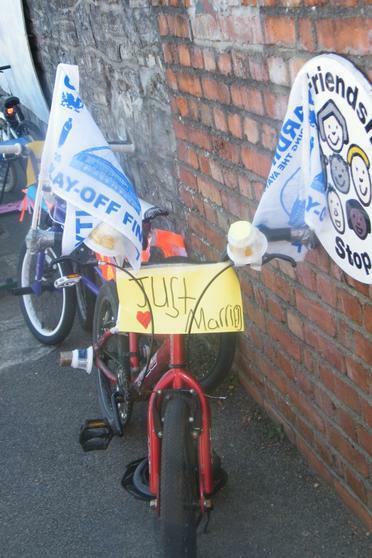 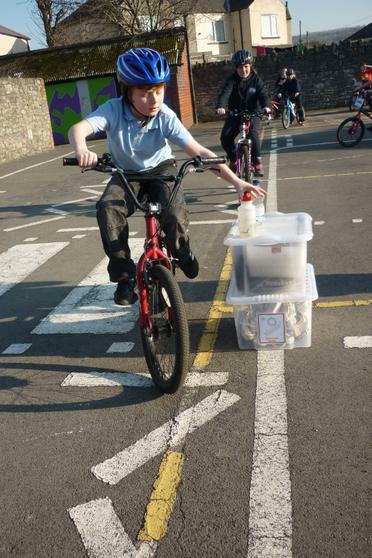 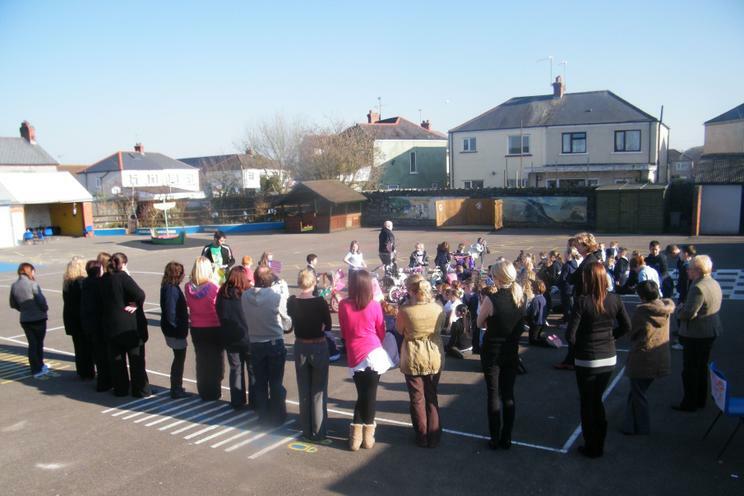 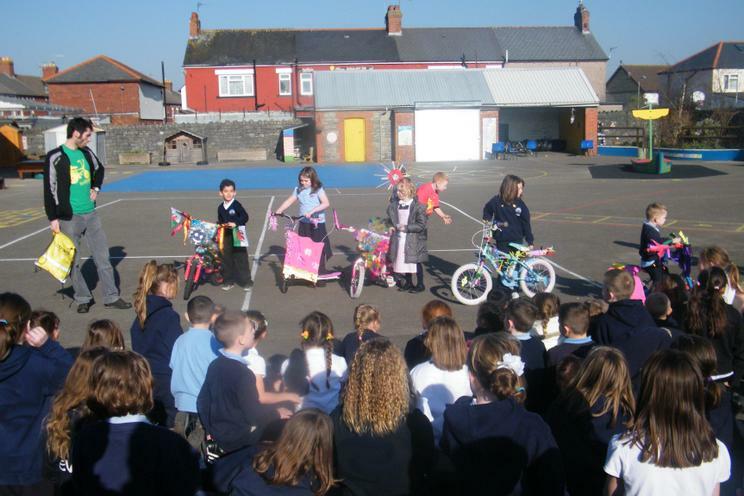 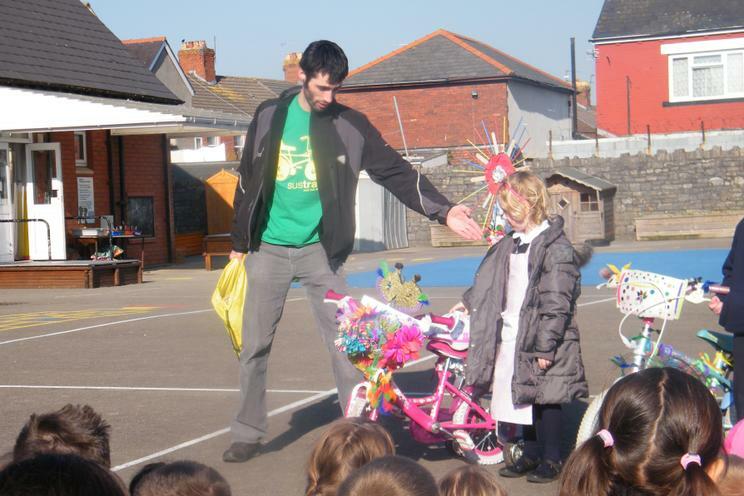 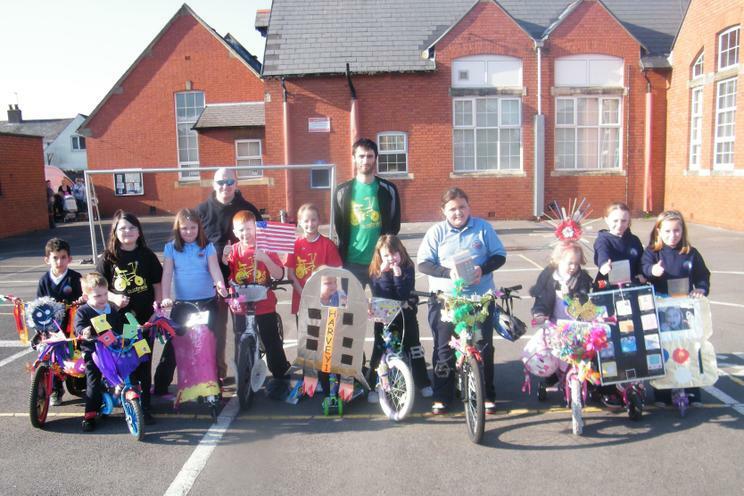 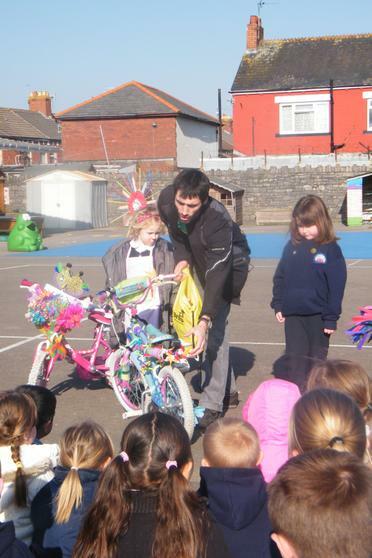 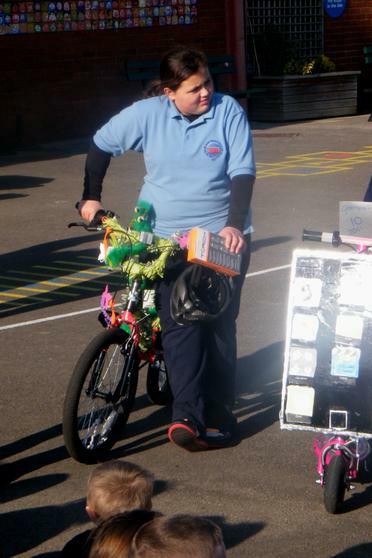 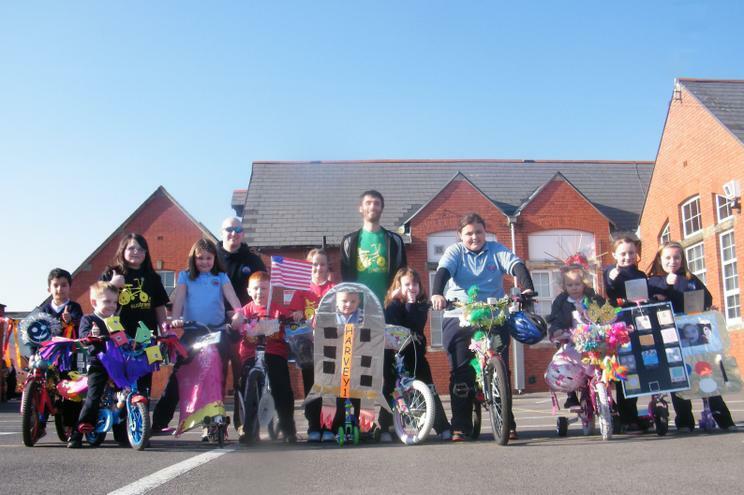 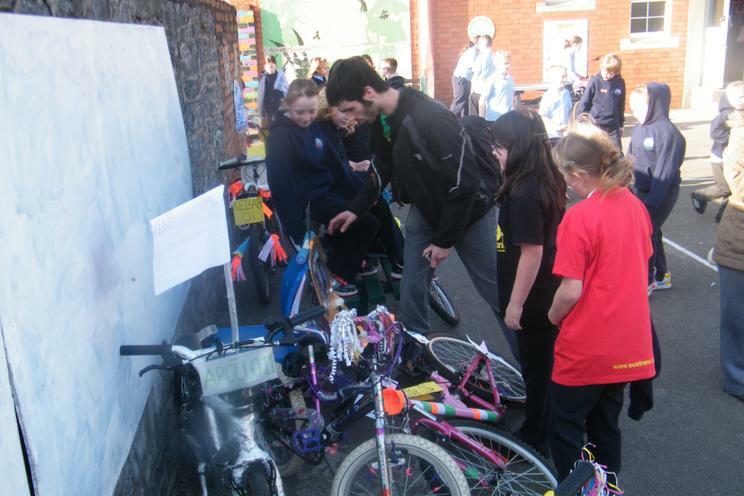 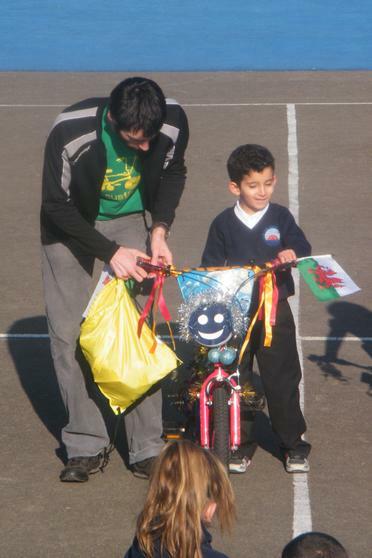 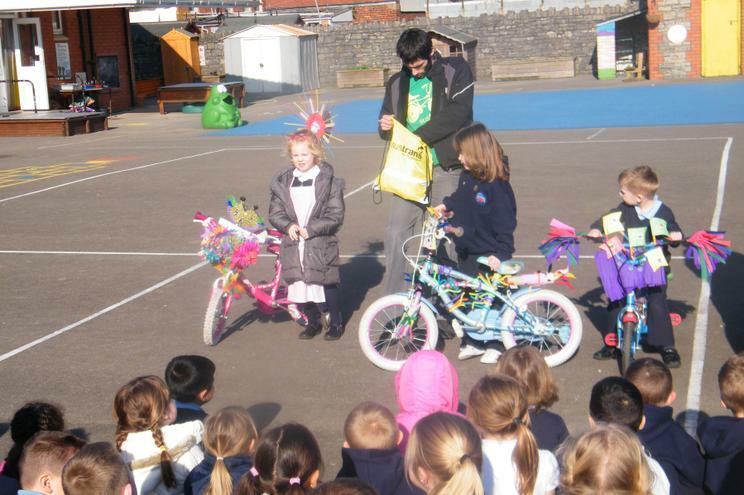 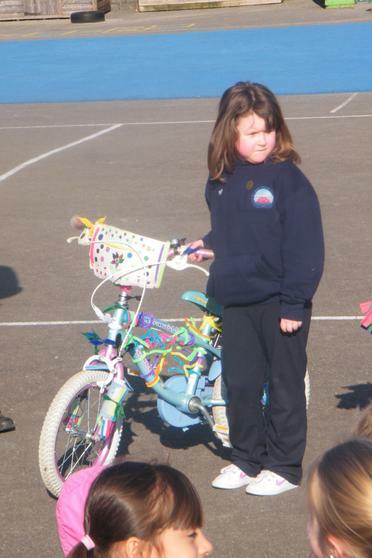 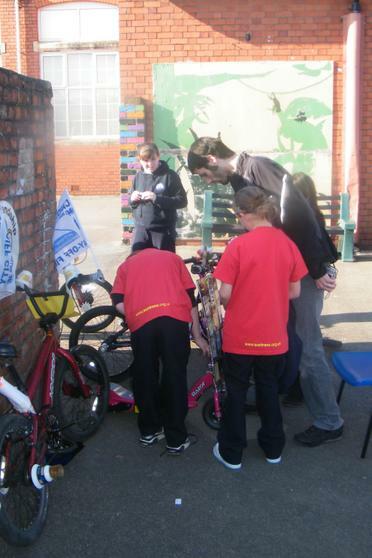 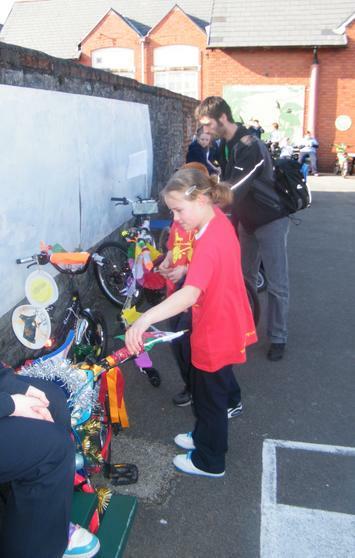 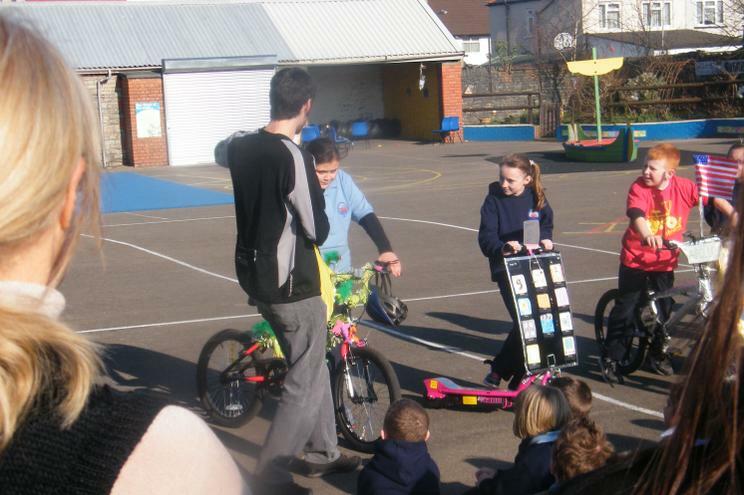 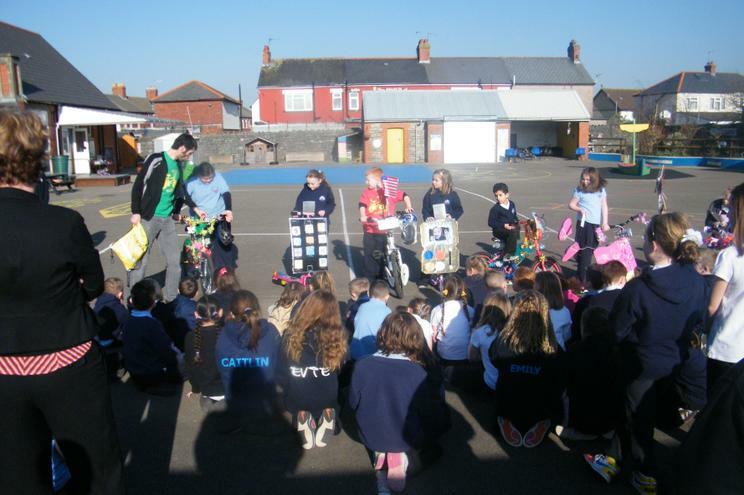 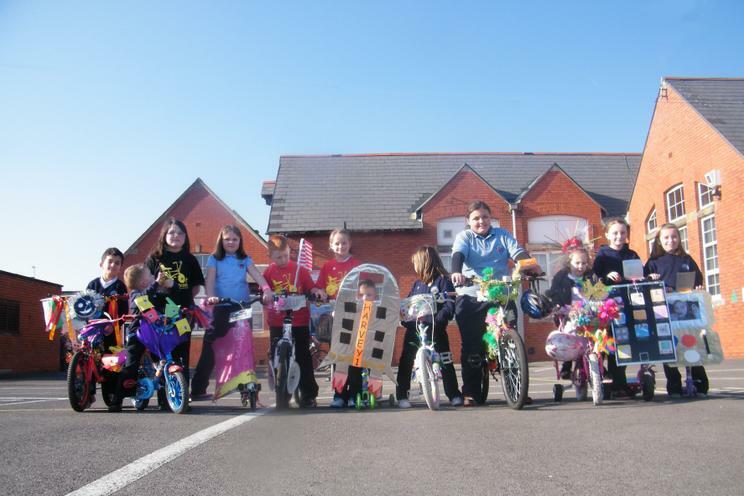 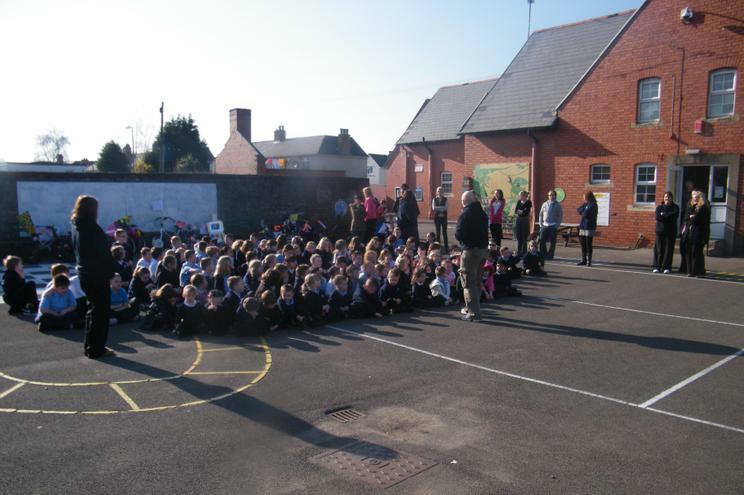 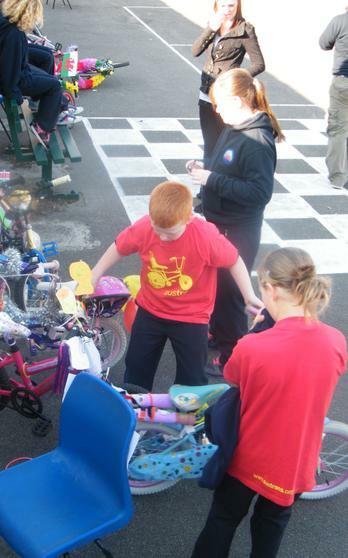 You can see the Cardiff Road Safety Team putting some of the children through Cycle training as well as the BikeIt Assembly given by Tim at the start of term by clicking the picture to the left. 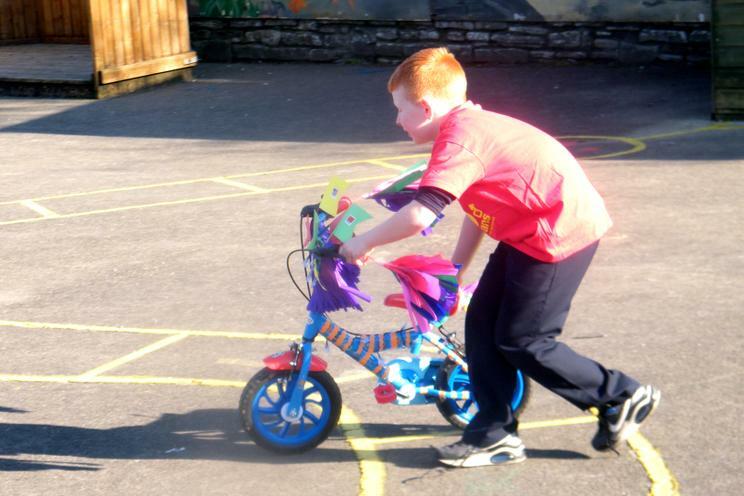 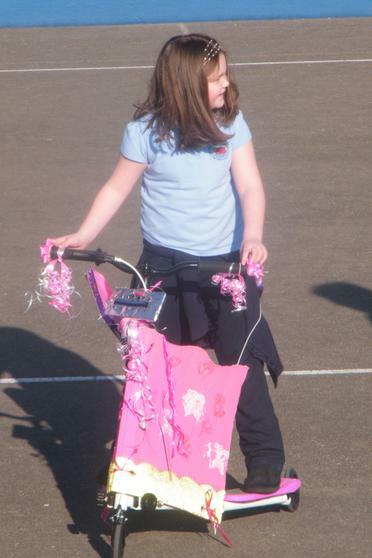 It is recommended that children get at least 1 hours physical activity every day. 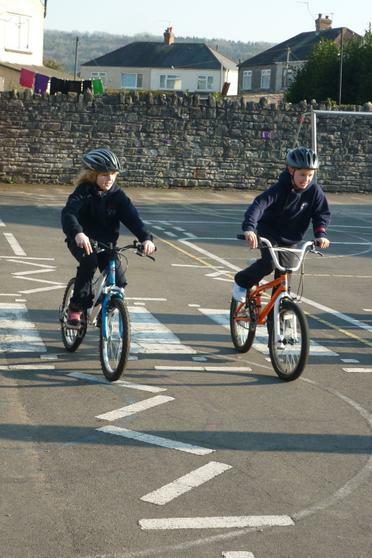 With TV, computers and game consoles eating into their free time the trip to and from school can be a great way to make sure your child stays healthy. 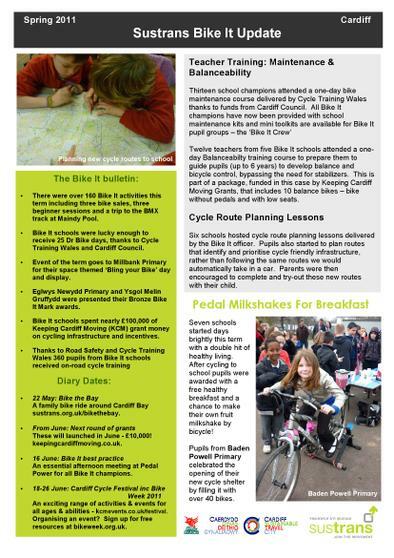 We at Millbank certainly think that’s a message worth peddling!